I know, everyone has a chocolate chip cookie recipe. I keep getting asked how it is I make mine so healthy without sacrificing tasty classic flavour. It really is my go to cookie, I’ve made them quickly before we settle in to watch a movie, takes me less than 5 minutes. I never buy premade cookie dough, you can just freeze this stuff instead. I’ve been told by folks that they like this version far better than anything some puffy commercial icon provides. So, here is my healthy version of that good old classic cookie. Add salt, baking powder, extracts and egg substitute. Combine until light and fluffy. Measure out the dough using a tsp. You can either drop them on the sheet or roll the dough out in your palms and pat to form a small disk. Depends on the look you are going for. Bake 350F for 10 minutes. Makes 24 cookies. Each cookie contains 52 calories, 2.8 grams fat, 7.6 grams carbs, .7 gram fibre, .8 gram protein. 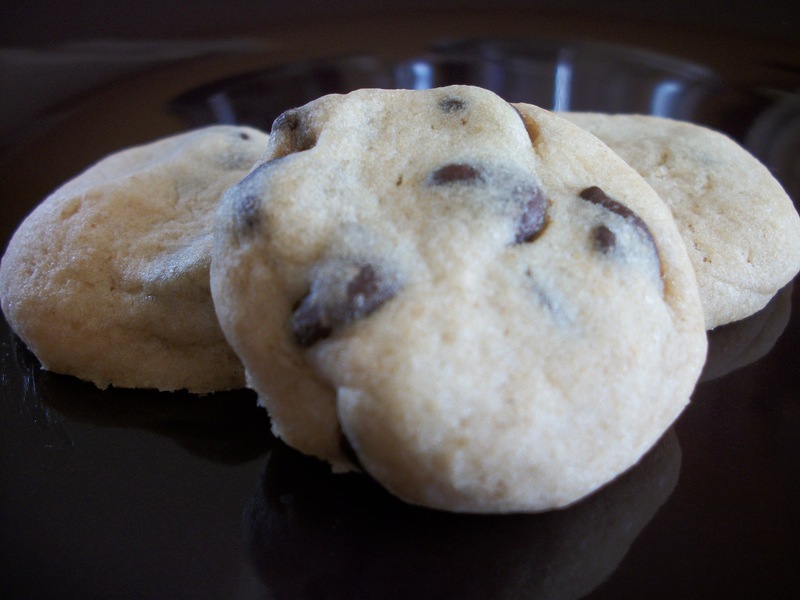 This entry was posted in Comfort Foods, Craving Buster, Dessert and tagged chocolate. Bookmark the permalink.